I get this question a lot, so it seems fitting to make it part of our CAD manager Q&A series. First, if you need a quick introduction to our products, watch our great new one-minute overview videos below. Don’t worry, I’ll wait here for you to get back. Enjoy! A FREE 3D solid modeling tool that lets you create your architectural concept models easily and accurately. 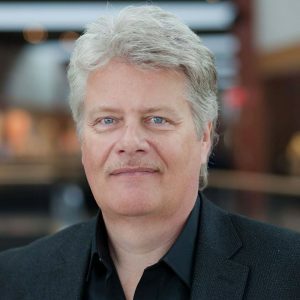 Since everything is modeled at full vector accuracy and maintained in .dwg format, all your work moves effortlessly into CAD and BIM workflows. There’s never any need to start over or translate file formats. Familiar, powerful 2D with basic 3D functionality, like the market-leading “lite” CAD program, but with the added power of full LISP customization support. BricsCAD Classic, like all BricsCAD editions, comes with BLADE – the BricsCAD LISP Advanced Development Environment. Everything in Classic plus advanced direct modeling for history-less 3D modeling ease, enhanced productivity tools like automatic block recognition (Blockify) and rendering with materials/lighting on board. Everything in Classic and Pro plus deformable solid modeling features, a huge catalog of parametric components, automatic 3D parameterization (PARAMETRIZE), and instantaneous 3D model comparison in a single window. As you can see, there are three editions of BricsCAD with different levels of 3D modeling and rendering tools. You can buy the version of BricsCAD that has the features you need. If you only do 2D CAD but want to use customized LISP routines, then BricsCAD Classic will suit your needs well. If you need to create parametric 3D models and you want to render them for visualization, BricsCAD Platinum will be the edition you want. And, finally, if you want to achieve the same functionality of that other popular CAD program, plus advanced multi-threading / multi-processor support and powerful machine learning based tools, then BricsCAD Pro will do just fine by you. BricsCAD is familiar, easy to own CAD solution. Popular 3rd party applications like Hexagon’s CADWorx® (for plant design) utilize BricsCAD Platinum as their CAD engine. 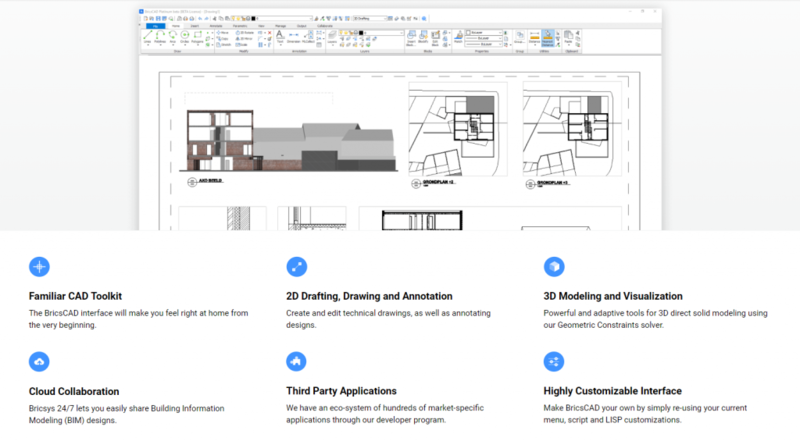 These applications put vertical market specific workflows on top of the speed and low cost of BricsCAD Platinum, delivering powerful, task-specific functionality. There are over 400 vertical applications available through the BricsCAD App Store. A better BIM workflow that keeps everything vector accurate, all in DWG and 100% IFC interoperable. BricsCAD BIM uses AI-based workflows to automatically categorize BIM objects and PROPAGATE geometry throughout the model. BricsCAD BIM offers consistent level of development (LOD) control that is unmatched in the industry. A powerful, history-free and fast part/assembly modeler with resilient sheet metal design tools. BricsCAD Mechanical offers a configurable bill of materials capabilities, intelligent exploded view/assembly animations and assembly kinematics. And like BricsCAD BIM, BricsCAD Mechanical works in a familiar way that will have you up to speed in hours, not weeks. A permanent license that does not expire – it keeps running as long as your hardware and OS support it. You can also install a BricsCAD single seat perpetual license on a desktop and a laptop computer. Or, your work and home machines. Just don’t use both at the same time, and all is good by the letter of the license agreement. A license that also allows sharing amongst any number of network users, via a server installed license manager. An annual support contract that assures you always have the latest minor and major versions of BricsCAD, and access to priority, email-based tech support. A low cost, annual rental agreement for temporary license needs that don’t warrant the expense of perpetual licenses. No matter what license type you choose, your license entitles you to any language version of BricsCAD. Just download the appropriate language version for your needs and install – the same license key will work for all language versions. The operative word in understanding BricsCAD licensing options is ‘choice’. It is your choice as to which product, license type, and language suits you best. Try BricsCAD for yourself, free for 30 days and see what you like most about using BricsCAD®. And if you have any questions please email me, at robert.green@bricsys.com. Post your comments below, and I’ll do my best to include them in a future blog post. the 3rd party tool might require a higher license (like Platinum), if some BIM/MCAD/SheetMetal APIs are used.